Happy Saturday Night and Sunday Funday First Fay of February for some of you! The month of love is upon us and hearts are filling the Blogways and Byways of the Intertube and the challenges, so I'm joining in. I have for you today a golden delicious Valentine made from a white card base, overlain with a leaf of white card stock covered in the finest Belgium vellum inlaid with flecks of gold, which are heart-shaped and rubbed to a fine gilded finish. Over that you will find a wooden veneer declaration of love which has been hand-rubbed in Brilliant gold ink. As a garnish, the chef has prepared a Lil' Inker triple-butterflied embellishment made from imported sheets of stitched Aladdin gold, topped with a trio of miniature pearls from the rarest oysters found at Riec-sur-Belon. "Heureux regardant." Can you tell I've been watching Top Chef?! Speaking of which, are you watching The Great British Baking Show? Oh, crumpets and jam, I LOVE that show! All they do is bake! You do get to know the bakers as the episodes go on, but only on the surface. It's a real reality show which portrays the actual reality of baking and the frustrations of baking, not the loves, hates, miseries, and bickerings of the contestants. Don't get me wrong, I watch all those horrid reality shows, too, but this one is SUCH a breath of fresh air. The only downside is that you'd better not have any breads, tarts, tortes, or desserts on hand in your house because you WILL eat them after you watch this show! 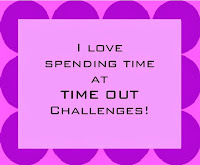 TIME OUT Challenges: "Valentine's Day With the Optional Twist of Hearts." Mrs. A. 's Butterfly Challenge: "Butterfly + V is for Valentine." Shopping Our Stash: "Make a Love-Themed Project." Click on the links for the details on rules, sponsors and prizes. 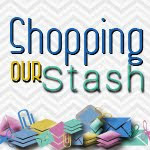 I also wanted to share with you that I took part in the Card Chain at Society of Stampaholics for the month of January and the reveal is Sunday, the 1st. To participate in the card chain each month, you just sign up and you are guaranteed one piece of Happy Mail every month! What a fun idea! The card base for this card is glossy card stock embossed with butterflies. I die cut the column of hearts in two colors using the Memory Box "Twirled Heart Border" die, using one color for the frame and one for the inlay. I added the die cut sediment from the Paper Smooches "Love Die," also die cut in two different colors. Next, I scored lines above and below the sediment and on each side of the column of hearts and added some dotty bling. QACAS! To participate in the Society challenge, you send your card to the person in front of you in the sign-up and it turned out the person in front of me for January was my bloggie friend Greta of GG Creations! Lots of times the person in front of you is a stranger to you, so it's a great way to make new friends! I hope that you'll check it out and join in! 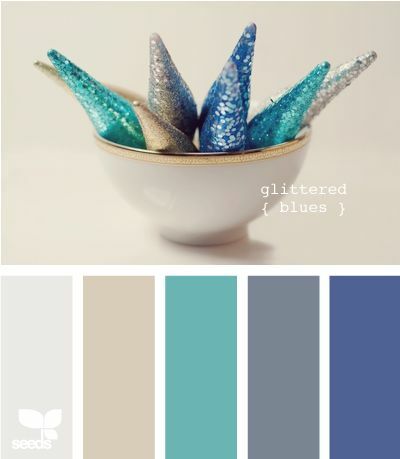 House of Cards: "Use Glitter and/or Color/Photo Inspiration." Addicted to Stamps and More: "CAS (clean and simple). Again, just click on the links for the details on rules, sponsors and prizes. I'm pickled tink to welcome five more new friends for you to meet! Mary of Dolly Bee's Snippets of Life. Mary has been blogging since 2011. As the title of her blog indicates, Mary shares snippets of her life and photography, as well as her really extraordinary scrapbook layouts. I mean, extraordinary! I haven't quite worked out yet why the name of her blog doesn't match her name, but I'm sure there is a story there. Just like I'm sure that you will enjoy your visit to her! Christi Conley of Art Without Anxiety. Christi has been blogging since March 2013. She loves adorning her pretty card designs and makes amazing 3D projects! I love the title of Christi's blog except that she has been having some anxiety since my visit advising her that I cannot comment on her lovely creations because I'm not a Google+ member. Which is just not right, so I'm asking for your help. Christi has both types of follower buttons, so that part is great, but her "comments" under "Layouts" is different than mine (non-Google+) so I am at a loss how to help her. I know lots of you have both follower buttons on your blogs and I AM able to comment even though I'm not a Google+ member. If you know how you can help Christi fix her blog, she would be most grateful ~ and so would I and her other readers who presently can't leave her comments. Thank you! Elizabeth Sarkisyan of Create for Family and Friends, Another fabulous blog name. Elizabeth has been blogging since April 2010. Elizabeth's cards often showcase children or critters or sparkle and shine. They are always bright and cheerful and always colored magnificently! She is a challenge award winner and she has lots of wonderful inspiration to show you! Ksenija Rizova of Sweet Kolbylkin. Ksenija is from Russia and she has been blogging since 2013. She has a wide range of talent and more than one blog to enchant you with her beautiful works of art. She also provides excellent photo tutorials for how-tos, which is always welcome to the rest of us. I know you will be inspired by Ksenija! Lisa of This Sweet Madness. Lisa has been blogging since 2011. She is an avid challenge player and has won many awards for her fun card art! Lisa is on many design teams and one-half of a mother-daughter card business. I think you will find Lisa to be enthusiastic and her cards are all about fun, bright colors, and creative designs! Love your inlaid die cuts on the first card, and the stacked hearts on the second are such a beautiful color! Your golden delicious card is exactly that! Such a dazzling card, Darnell! And you've just reminded me that I have that heart border die and 'tis the season to use it! WOW, what an absolutely stunning gold and white card, Darnell!!! Love the cute little hearts and that stunning butterfly!! The sentiment panel looks awesome!!! Oh, this is beautiful, Darnell!!! Love it!!! The second card is equally beautiful!!! I love those stacked hearts and the great colours you have used!!! The glossy cardstock is so beautiful and I love the sentiment done in two colours!! Lovely card!!! I'm going to check out the SOS blog!!! Beautiful cards Darnell - love the gold one - it is stunning!! The texture on the blue card is beautiful. Adore all these golden hearts and what a fab die!! Thanks for joining TIME OUT. I don't watch the Bake Off show but it sure is popular here! My Mum and I watch that show and absolutely love it!! The people that take part are so lovely and we love the two ladies who present, they are hilarious!! And yes, it does make me rather ravenous looking at all the yummy cakes etc. Your card is a vision of golden goodness and love all the different layers and textures. And such international supplies you have, they are very well traveled indeed!! Always happy to have you at TIME OUT!! Stunning cards Darnell, your designs are so stylish and the colours are gorgeous. I am a big fan of the Great British Bake Off too. So clean in design yet so creative. Love your cards, you always have it down to a fine art!! We're addicted to Master Chef Junior. Collin loves to cook so he's extra fascinated by what all they are making. Love your cards Darnell...all the gold is divine! There was a lot of elbow grease and rubbie dubbing going on with your first card and what a beauty it is too. I love the shinny gold. Your 2nd qualifies too as it has butterflies on the backing sheet. Love them both and thankyou for fluttering by my Butterfly challenge. hugs Mrs A. Your Let it Shine and Love card both Shine in my eyes. Love that you used nontraditional Valentine colors! Thanks for joining us at House of Cards. Two lovely cards -- I loved your clever description of the "let love shine" card! Oh Darnell, both cards are so lovely, but I am a sucker for a pretty butterfly and yours sparkles and shines so brightly on the first card. I also adore the embossed butterflies on the second one as well. So I guess I get a twofer today. Yay! I have NOT heard of that baking show you mentioned. What network is it on? I'd love to check it out sometime! Have a super duper Sunday! Hugs! Your description of your first card was spot on and hilarious! I haven't heard of the baking challenge show but it sounds like my kind of TV. I love your beautiful cards. They both have such pretty shimmery qualities that I find hard to reproduce in my style! Love them. This is just scrumptydoodledelicious! Whoa! I think I just channeled you when I typed that in. :) I just adore your gold card - it is over the top, indulgent and perfect for sharing affections of love. Wow... and now I want some chocolate and it's nowhere near time for chocolate! This post should have been prefaced with a warning that it might make you hungry before you finish reading. I, too, am hooked on that show, D... and this card! WOW!!! you nailed the LOVE theme! Your card is gorgeous and that 3D butterfly is perfect! Holy Guacamole!!!! You knocked it out of the park on these two Darnell! Love all the gold on that first one. SO pretty. The second is just as lovely with that shimmer. Yep, you can start your very own show now! Beautiful cards! I do like those stacked hearts! Two beautiful cards.... I don't think I can pick a favourite, they are both stunning! Two fab cards Darnell, love the little gold hearts on the first and the different colourway on the second. Which series are you watching on Bake Off? If it was the latest one look out for 'bingate' The lady involved on that show was a WI stalwart from around here. Have you seen custardgate yet? Fab fab fab cards Darnell, and yes I loved the TC-esque feel of the intro. Love the cooking shows, and have gotten hubs interested in watching with me...he like the survivor feel of TC. Glad you joined in the CCC, it is such fun! Your golden card is scrumptious... reminds me golden wrapped chocolates. (If you're tired of food related comments, remember, you started it.) Back to your cards...these are both winners. Love the hearts falling down the side...like candy hearts spilling out of a bag. I've got to go now...have to work on my OCC homework and, thanks to you, now I'm hungry. Fabulous cards, Darnell! And suddenly after reading your post, I feel hungry! ;) Happy February! These are both fantastic cards, Darnell! I love the shine on them and your use of non traditional colors. Great job! Two lovely cards Darnell, great designs. What a golden beauty you created. That is stunning. And, I love the blue and white one as well. Another equally stunning work of art! I also did a shiny card today!! I think we indeed miss Christmas cards jeje It´s lovely Darnell!! Your gorgeous golden beauty takes the trophy in my book for elegant and stunning! I LOVE all those itty bitty golden hearts! The 2nd card is pretty with the cascading hearts too, and what a great idea for mingling amongst the blogland stampers! I never heard of the baking show you mentioned - what network is it on?! Ooooooooh that first card sounds so good I could eat it! hahaha! It is seriously lovely though!! The golden butterfly and that sparkly background with that lovely die cut sentiment is just stunning! Your second card is a beauty too! That embossed background looks amazing! Hope you have a fabulous week my friend!! What a lovely card, Darnell! I love the gold butterfly and the sentiment piece. So awesome! Have a great week! Adore that die on the first one - such a wonderful sentiment and the layered butterfly is so fun!! Lovely string of hearts down the sideo of the second. Being a HUGE fan of butterflies I LOVE, LOVE, LOVE, both of your cards today! First I love all gold deliciousness on the first card and your description made me HUNGRY! And the 2nd card, you mention that your butterflies are embossed but you didn't say what you used to emboss them (unless I missed it). I am curious because I love the effect you achieved. Both cards were pure eye candy for me and inspires me to make a card with a butterfly! Both of your cards are gorgeous. I love Top Chef, but forgot the new season was starting and so I'm really far behind in watching it, so I'm skipping this season. Never hear of the British Baking show. I love to bake, will have to look into that one. Ah, Bake Off. Its compulsive viewing here. I'm guessing its last years that you are currently viewing Stateside. . . . Have you seen Dianagate yet? And as for Paul Hollywood's eyes. . . . . . Swoon! Wow, these are both gorgeous! I really need to get a few more Valentines done... soon... eek! Wow Darnell! Both cards are amazing but the gold one really is stunning! I think the reason I gain wait is I watch too many food shows. I think you can get fat just looking at all that food! LOL! Have a great day! You created a stunning gold Love card and described it in such a delicious way that I was ready to eat it! Also love your shimmery heart card! I think these are my favourite cards ever, I love them both but the butterfly one is just stunning! Love it a lot! Two beautiful cards, Darnell! I love all that gold, especially the butterflies. The blues are great together too. Please exqueeze me while I put on my shades. That gold card is STUNNING! And now I'm curiously hungry. Lovely cards. Love the gold butterflies. I hope someone was able to fix Christi's google issue. Amazing new friends. Both of your cards are gorgeous! Especially the gold butterfly !! Yes, I love cooking shows, too! But I haven't seen the British one!! !i need to look for it! Holy smokes Darnell I love the shimmer on both of your PRETTY cards!! That butterfly is beautiful!! OMG, Darnell--all the dazzling gorgeousness! Both cards are beautiful but I'm in LOVE with the gold and hearts! You've tempted me with the cooking show too--must give it a peek. Such a gorgeous love card. I am intrigued that it is gold and not red. What a great idea. That baking show sounds dangerous. And fattening. Watching cooking shows at 8 pm, now that's another bad move. Stopped doing it since my growling stomach wouldn't let me sleep in peace. The gold card is so ymmulicious! Never having been a fan of things too shiny, I'm just now developing a sort of kung Midas behaviour hoarding all things golden. Both great cards! Love that you went for non-red/pink! The wood fineer and velum on the first are beauties and thank you for joining at TIME OUT with that one! Your cards are brilliant in concept, design and appearance! Your gold and white card is so elegant. I love that brushed wooden sentiment. The heart card is in my favorite color of blue and gorgeous as well. Thanks for the warning but I had to go eat something anyway after reading this post. I haven't seen the British program but I do like the cooking channel and have purchased several cookbooks of some of the cooks. Your first card is absolutely GORGEOUS, Darnell! And, a joy to read your intro! I also love your blue inlaid hearts on your second card...they really pop on the glossy cardstock! Thanks so much for the heads up about Great British Baking Show...off to check it out! Your glittery, gold confection absolutely makes me drool! It's BEAUTIFUL! I love, love, love it. I've been watching Top Chef avidly (and hope Mai wins) but I'll have to check out the baking show. I'm glad to see you over at the CCC - it's been so much fun! Two beauties here, Darnell. All that scrummy gold on your first card is gorgeous and I love the delicious combo of shimmer and blues. I LOVE Great British Bake Off...my grandparents were bakers and my mum used to bake all the time when I was younger...perhaps that's why I'm on a constant diet! Yikes! I love baked stuff and baked stuff loves my thighs! Oh well, you can't win them all. Two gorgeous cards Darnell, such a beautiful colour combination on the first one both are fabulous designs. I was just thinking about eating some cake and I think your post pushed my decision firmly into the yes category. Love your Top Chef card and your description of it. Such a hoot. As for the other card I was just looking at a card base with the same shimmer embossed butterflies.... wherever did we get that from? The snail mail challenge sounds totally fun. I love real mail (junk and bills need not apply). Is it all 'Muricans from 'Murica? Not that I have anything against foreigners just that then you have to fuss with postage of an unknown amount. Two "yummy" cards, Darnell! Love all the LOVE you displayed in these beauties! Something I love about you is that YOU sparkle and shine ALL THE TIME!!! Your cards are gorgeous and sp cool looking!! What fun to see what you have fashioned in your playhouse!! Can I come and stamp with you some day - maybe then I can be as sparkly as you!!! Love to you!!! That vellum with gold hearts is stunning & I love your card, Darnell! Thanks again for the wonderful Valentine which I'm so enjoying, my friend! As always, great cards! really love the gold so elegant! Always such a joy to visit your blog! Darnell...both of your cards are breath takingly beautiful. I love those sweet gold layered butterflies, just stunning. And you string of hearts, just as sweet as can be. I don't watch much current TV, I prefer old black and white reruns but my daughter and I love watching America's Worst Cooks on Food Network. Darnell, LOVE your cards and you help me to find more and more challenges to train my creative muscles! Lots of glamour in your cards, Darnell. That gold, in both the background and butterfly is so elegant. Love the shimmer cardstock embossed with butterflies. I don't know how I missed this one...Stunning cards and love the gold and triple butterfly! Love reading with the humor you add to the posts and Top chef ..love it! Also, thanks for having me under your New Friends Corner list. I love seeing what you come up with next. What elegance with all this shine! I especially love the gold! King Midas would love this! Lovely card...and SO lovingly described!! Oh wow!! Both the cards you created are lovely. The gold one is my favorite. So rich looking!! Love all the gold on this card Darnell! What girl doesn't love gold, especially a gold butterfly! WOW Darnell . . . I love both cards you're showing here, but PARTICULARLY the first one because of it's wonderful words. Swooning over the butterflies; salivating at the mere mention of pies, tortes and other assorted baked goods! Top Chef and Top Chef Canada all-time favourites!